Russia’s Amway Charity Foundation recently presented the results of its highly popular “Mompreneur” program at the prestigious 2017 St. Petersburg International Economic Forum (SPIEF). Over the past two decades, the Forum has transformed into a leading global platform used by business leaders to discuss key economic challenges faced by Russia, emerging markets, and the world. The theme of the 2017 forum was women’s entrepreneurship. Participants gave insights and solutions for a variety of issues, such as economic rights and opportunities for women, as well showcased best practices aimed to support women’s economic rights and opportunities. Anna Soshinskaya, president of the Amway Charity Foundation, shared the success of the organization’s “Mompreneur” program, as well as 2016 Russian results from the Amway Global Entrepreneurship Report. 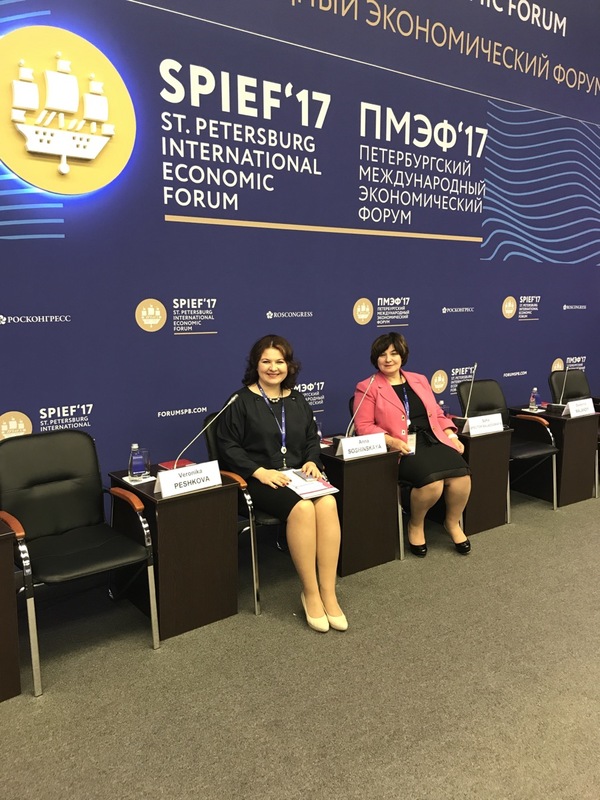 Also present at SPIEF were Ms. Natalya Larionova, Head of the Department of Entrepreneurship Activity Regulation at Ministry for Economic Development and Trade (Russian Federation), Gulnaz Kadyrova, Deputy minister of the industry and trade (Russian Federation), and Galina Karelova, Deputy Chairman of the Federation Council.